Winterhaven's all-school science fair is our signature event! Each year, every Winterhaven student is asked to explore the scientific process by asking a question, proposing an answer, and designing and running an experiment. Students communicate their results by displaying posters of their work at the science fair. At the elementary school level, teachers and parents guide students through the exploration and inquiry and teachers focus on communicating scientific results. In grades 5-8, students focus more extensively on the breaking down the steps of the scientific method in the classroom and work closely with teachers to create posters that are judged in a friendly competition. Parents and community members select the "best of the best" posters to represent our school at the Intel Science Expo in the spring. Inspiration: How Science Works (https://www.youtube.com/watch?v=Jj9iNphbY88): A story about how scientists identified a new group of spiders in Oregon. Designed for the parents of 5th through 8th graders. Starts with a 30 min presentation by the Science Fair Coordinator about how our competitive version of the science fair works. Followed by 30 min question and answer session lead by 5th-8th grade science teachers. Come with all the parts of your poster printed out and ready to apply to your science fair board. Volunteers will be available to help students assemble their boards. Please talk to your science teacher if you need help with printing your poster parts before this event. Turn in your poster to your science teacher! Preliminary Judging: January 28th - 30th, 3:30-7:30 pm. Adult volunteers Needed! No experience necessary. Final Judging: January 31st, 1-5 pm. Adult volunteers with a science/engineering background needed! Science Fair: January 31st, 5-7 pm. Winners announced at 6 pm. All school event. Posters from the entire school are displayed in classrooms. Take the journey from K -8 to see how Winterhaven's curriculum develops scientists! Food for sale. Science fair is our biggest volunteer opportunity of the year. We need parent power to ensure that every poster from each of our 5th-8th graders has their poster reviewed by at least 3 different judges. If every family donated just one hour of time to this endeavor, we would be done in the wink of an eye! Worried about your background? Don't be! The initial stage of judging is straightforward and non-technical. No experience required! Do you have a science/engineering background? We need your help! Experienced volunteers are asked to commit 4 hours to judging our finalists. Volunteers will be divided into a team that is responsible for scoring the top 5 posters from each grade. During the first 2 hours you will individually score each poster. During the last two hours you will interview the authors. We prefer volunteers that can participate for the entire afternoon. Lunch provided! Science Expo: The Intel Northwest Science Expo occurs every spring at Portland State University. 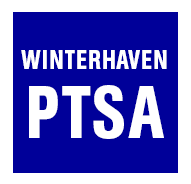 Winterhaven is permitted ten spots at middle school level (5th - 9th grade). The top 3 winners for each grade level at the Winterhaven Science fair form our Expo Team. Faculty determine which students will attend based on a number of factors (judges scores, project subject, student availability, meeting of Science Expo guidelines, etc). Project Restrictions: Our participation in the NW Science Expo comes with some limitations on the types of projects we can perform. Go to the "Middle School Super EZ Rules" section of this site (http://www.nwse.org/?q=middleschool#msez) to learn more. Due to liability concerns, our teachers are uncomfortable allowing students to complete projects that do not comply with these rules-even if the student does not desire to attend Expo. Please understand that your student's teacher has the final say in this matter.